#0735* – Sinclaire serves Britain whilst Batten & UKIP serve themselves! The Independent MEP Nikki Sinclaire serves Britain whilst Gerard Batten a London MEP & UKIP leadership clique and its claque serve themselves!!! here is an excellent article by Nikki Sinclaire which highlights the value of Democracy, OUR Rights and the betrayal of these United Kingdoms OUR interests & OUR peoples by self serving self enriching politicians who prop up an undemocratic, unlawfull and utterly corrupt centralised allien authority for their own personal gain. She shows how these self same politicians not only lie and distort but are too dishonest to risk a Referendum that might represent the wishes of the peoples and find the politicians out of their jobs or better still on trial for their betrayal! It is sad that we do not see reasoned articles of this ilk regarding the politics of Leave-The-EU from UKIP MEPs on a regular basis. let alone public houses – How can ANY of this move us one inch closer to the agenda of Leave-The-EU? and his willingness to use money from the public purse to try to protect himself from incarceration or the support given him by Nigel Farage and various crooks in the EUropean palace of delusion and self importance who aided him – how do they delude themselves that they in some way make progress to Leave-The-EU? does nothing towards a discipline of Leave-The-EU be it his lies and divisive fantasies about me, his abusive behaviour and I now gather from material passed to me that he is not content with shaming his Country with his obsessive anti Islamic stance as it seems to those who look on but his hatreds and favouritisms. Batten seems not to appreciate that when living parasitically off the public purse that is NOT an opportunity to abuse the position to enrich ones relatives nor to abuse ones position and title to suppress the truth and keep facts from the public – a practice he has perpetrated from his early days in office, one need only remember his efforts to prevent witnesses being brought to the Kangaroo Court in his office by the clearly falsely abused Peter Baker! How do Gerard Batten‘s religious hatreds & fantasies enhance a policy to Leave-The-EU, let alone his lies, dishonesty, corruption and efforts to manipulate and suppress Justice by abuse of his office? 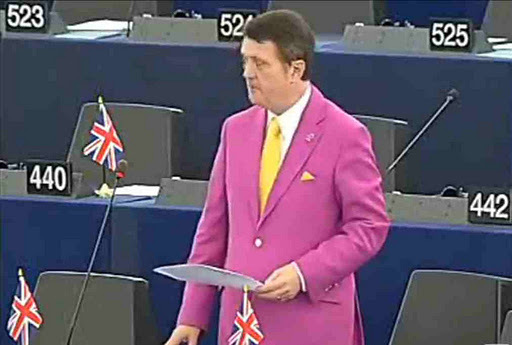 I gather Gerard Batten is even trying to bully and boss people about BECAUSE HE is an MEP having lost sight or any understanding of duty, integrity or democracy, the man is a disgrace! I note Lawrence Webb has resigned as London Regional Organiser now that he has his own ambitions for the gravy train – no doubt being on Gerard Batten’s pay roll was an embarrassment to his ambitions, understandably! 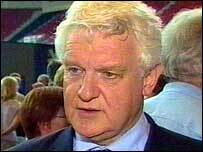 However the OLAF inquiry that found Derek Clark guilty could all too easily draw the same conclusions regarding Lawrence Webb’s position and with Gerard Batten already under investigation by OLAF and before the courts under allegations of racism and abuse of staff plus we understand electoral irregularities before The Electoral Commission it can hardly help Webb’s ambitions. can hardly enhance UKIP’s chances in the EU Assembly elections for London. One need only read UKIP’s own returning officer’s report to appreciate the dishonesty of Mick McGough and also of course EVERY UKIP leadership team member who failed to speak out – It is a very good measure of the depths to which UKIP has sunk and just how unfit for office they are in their betrayal of Britain! In the many years I have tried to support UKIP and have commented on the betrayal of UKIP members and MY Country by the corruption of EUkip Leadership, or its very absence – Many are the lies and deceptions I have recorded and reported on but it will be noted that I have ALWAYS done my utmost to check the FACTS provided by UKIP members seeking to clean up their party and rid it of the underbelly of political life like those who lie, cheat and dissemble gathered around the honey pot that is UKIP Leadership such as Mick McGough, Douglas Denny, Mark Croucher, Gawain Towler, David Bannerman, John Ison, Malcolm Wood, Hugh Williams, Peter Reeve and the many other toxic parasites too ashamed of their own behaviour and serial dishonesty like Gothmog, Independent UKIP, Skeptik, SDP and the like to even risk identification – how does their shameful behaviour help us to Leave-The-EU? 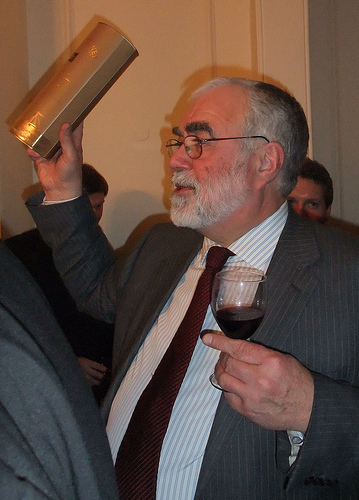 There is not a single solitary individual of ANY intellectual vision, political insight or ethical principles in the entirety of UKIP’s upper echelons – NOT ONE as they better than most appreciate the total lack of Strategy, the overt racism, the hateful religious prejudices, the anti homosexual and violent dishonesty of UKIP’s leadership and senior management all too self serving OR corrupt to speak out with clarity and denounce these vile rogues who bring shame on Britain in general and UKIP voters in particular. During the last few years I can defy YOU with more than a little certainty to identify a single solitary informed individual of ANY ethical integrity or moral principles who has been willing to join UKIP and have their names associated with this festering rabble of dishonest ne’r do wells. May I congratulate the many who felt they had reputations to protect who have quit UKIP on finding out just how corrupt they are and how they have so betrayed these United Kingdoms – UKIP has squandered and of course ‘trousered’ £Millions from the public purseyet can not show a single solitary achievement in these United Kingdoms that has moved us one inch to Leave-The-EU. To date they have no clear organisation, no clear organisational structure and are bereft of strategy, tactics or gravitas. UKIP has failed on virtually every count for 20 years, save that of self enrichment of a small inner clique and employment of a claque who feed from the crumbs. Just how has UKIP progressed one inch to Leave-The-EU? 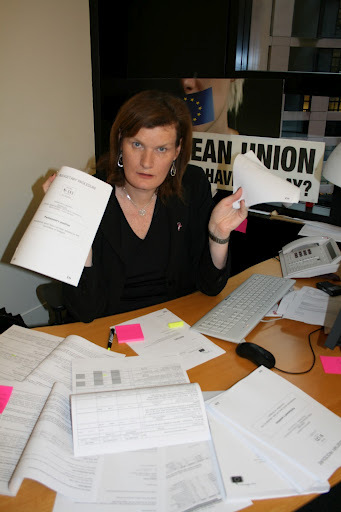 Measure what the army of self seekers has achieved against the achievements of the ONE Independent MEP Nikki Sinclaire – Measure UKIP’s achievements over 20 years as against hers personally during the last 2!! NO I do NOT agree with everything Nikki Sinclaire does but compare it in terms of actual achievement with the whole of UKIP’s failure! Astonishingly over 20 years UKIP has abjectly failed to produce a single solitary widely circulated document of competence and gravitas that presents the reasons to Leave-The-EU – In fact UKIP has patently failed to produce a single original pamphlet of ANY value to present the case to Leave-The-EU! Yet more astonishingly UKIP has even failed to rationally present an Exit and Survival Strategy of any plausibility and competence! 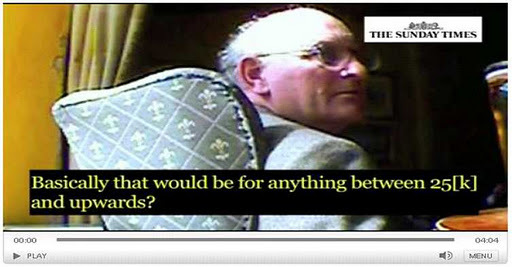 Do UKIP Leadership want to Leave-The-EU or are they in fact the useful idiots who have responded to the bribes on offer in The EU – Bribes paid with OUR money against our democratic wishes! So wrote Peter Thorneycroft, Edward Heath’s Tory colleague and friend. French PM Raymond Barre was still more explicit in his contempt. “I have never understood why public opinion about European ideas should be taken into account at all,” he said. Such autocracy in the face of democratic will has characterised the European project from the outset. The Commission, from which 75% of our laws emanate, is unelected. The Parliament is an impotent charade. In 1975, our parents were asked if they fancied being members of a common market. We have never been asked whether we wanted to surrender the power of the people in Parliament, the supremacy of our own Courts or a huge proportion of our GDP and natural resources. It is a tenet of natural law that there can be no constitutional change without plebiscite. Our constitution has been bulldozed without permission. Our politicians kill and require people to die in the name of democracy, yet no one seems in a hurry to define it. In 1830s, with the mail-coach, macadamisation and the railways suddenly bringing news and standard time to the isolated provinces, the mob demanded an increased say in its governance. Politicians sneered and drew up the drawbridge. Only a few wise Whigs and, at the last, the monarch saved us from bloody revolution by broadening the democratic base. Today, in the wake of a similar communications revolution and with the people able to vote in real time for an X Factor or Big Brother contestant, there is justifiable bewilderment at seeing control of our lives taken further and further from us, and foreign politicians becoming unrepresentative and unaccountable as Tudor monarchs. I deplore the EU. It is corrupt, smug and wasteful. It costs the British taxpayer £48m a day and yet seems to me to yield no discernible benefits. It is not for these reasons, however, that I launched the first public petition to have brought the prime minister to the despatch box and to trigger a parliamentary debate in which 81 Tory MPs rebelled against a cowardly, undemocratic three-line whip. It was rather my conviction that Britons, no less than Tibetans or Kashmiris, must enjoy self-determination. All three principal political parties are aware that the electorate has this right. That is why all pledged a referendum – until in power. David Cameron gave ‘a cast-iron’ pledge that turned to butter in the heat of office. He blamed coalition, but Nick Clegg had also declared a desire to see the matter settled by plebiscite, so in fact Cameron has a clear mandate. He has ignored it. He vowed that instead he would ‘negotiate’ the return of sovereign powers from within the EU. This is gibberish, as was demonstrated when he postured on fiscal autonomy. The EU is run by qualified majority. A single member cannot ‘negotiate’ with 26 others for special treatment. So now, as EU rulers meet to debate the merits of deficit-spending vis-a-vis austerity, we will maintain the pressure. There will be another petition (www.haveyoursay.eu) and another. You owe your job to the people, Mr Cameron. They ask only to be heeded and to have a say as to who governs them. Deny them that, and you deny democracy – and so your own position. #0144 – MAGAZINE DELIVERIES START HERE AT MIDNIGHT + 1 minute . A New Page Every 1/2 hour or so!.